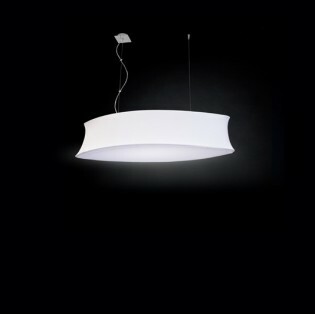 Oval ceiling is a ceiling lamp made of elastic fabric with white diffuser and metal structure finished in chrome. Spectacular for modern style dining rooms or kitchens. Available in four fabric shades: white, cream, silver and gold. Dimensions: Height150 cm. Width 125 cm. Lampshade height: 20 cm. 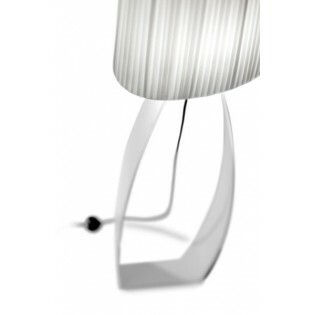 Valeria, is the star collection of Decorluc en designer lamps. 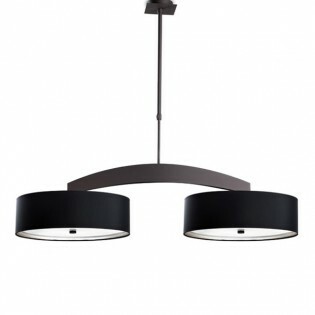 The Valeria ceiling lamp is a spectacular lamp that stands out for its design. Ideal for modern style dining rooms looking for a different and exclusive decorative piece. Small model. Available in two colours (black - white). Dimensions: Length 96 cm. Height 103/73 cm. lampshade width: 38 cm. 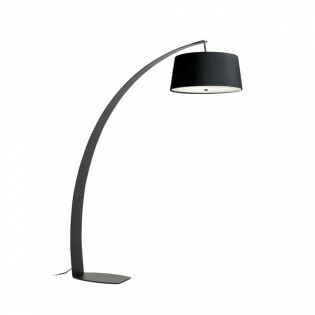 The Floor lamp Estil is a spectacular lamp of modern design made in metallic structure finished in grey and lampshade in black. 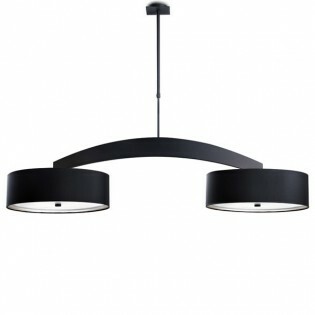 It stands out for its large size and its final lines and curves from which the big lampshade hangs. Dimensions: Height 188 cm. lampshade width: 55 cm. Total length: 148 cm. Foot: 48 cm. 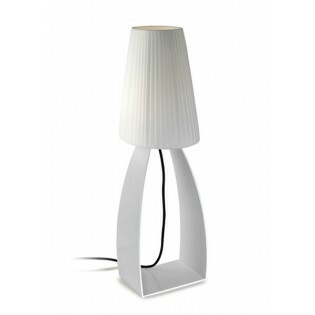 The Floor lamp Estil II is a spectacular lamp of modern-contensive design made in metallic structure and white tulip. Also available in Moka structure with cream tulip. It stands out for its size and its final and curved lines. Dimensions: Height 168 cm. lampshade width: 48 cm. Total length: 73 cm. Foot: 33 cm. Spectacular floor lamp. Its design stands out with subtle and feminine shapes. Made of solid iron. Structure and white lampshade. High: 181 cm. Length: 30 cm. 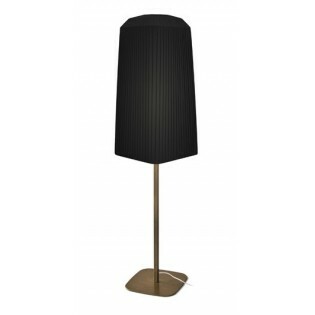 The floor lamp Ribbon is a very elegant and slim lamp, with an exclusive design in Italian fabric. 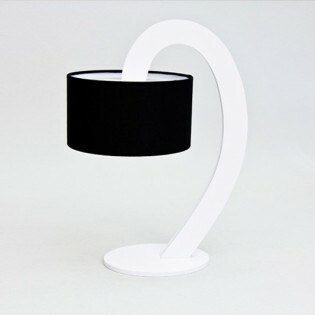 The lampshade can be customized in four different colors (white, red, black and brown). Ideal for living rooms or dining rooms. Structure in bronze colour. Base: 35 x 35 cm. Height: 140 cm. 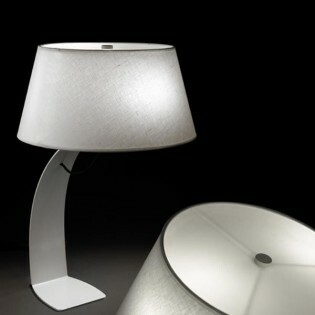 Valeria, is the star collection of Decorluc en designer lamps. 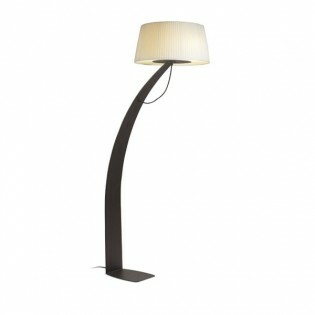 The Valeria Floor Lamp is a spectacular lamp that stands out for its design and its high height. It will not go unnoticed in modern style salons, offices, offices, design shops, hotels or contract type projects. Height: 181 cm. Base diameter: 37 cm. Ceiling lamp made in classic forge finished in mocha colour and beige linen lampshades. 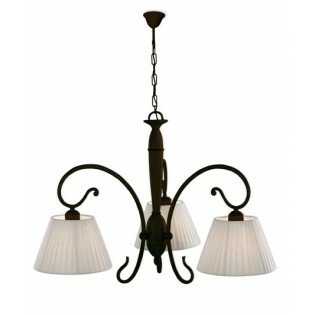 5-lights lamp ideal for illuminating large rooms of cottages rustic style , such as mountain, rustic or country houses. High: 138 cm. Width: 78 cm. Classic wrought iron ceiling lamp finished in mocha colour and cream embroidery tulips. 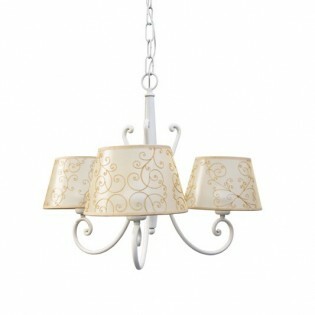 A very nice 3-lamp lamp to illuminate especially bedrooms or living-dining rooms High: 105 cm. Width: 74 cm. 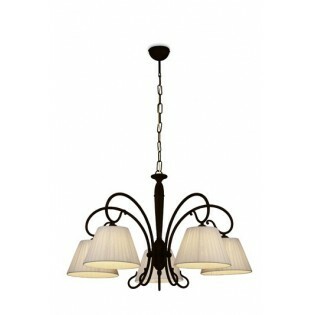 The Ribbon ceiling lamp, is a nice classic style lamp. The lampshade has an exclusive Italian fabric design. Ideal for lounges or rooms with simple and elegant decoration. Tulip: 35 x 35 cm. Height: 150 cm. The Alegre table lamp is a lamp made in classic forge but with renewed style, finished in cream colour and cream ponge tulip. Very nice and elegant in any bedroom or living room. Dimensions: Height: 47 cm. 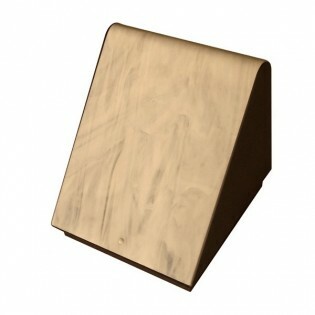 Base width: 19 cm. 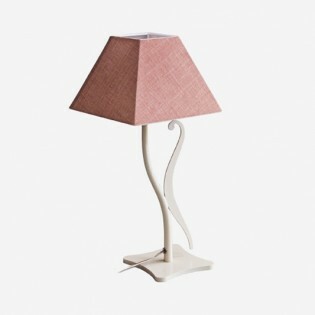 Precious Table lamp , with white structure and classic style pyramid-shaped lampshade. Perfect for lighting in bedrooms of hotels or rural houses with Nordic or modern style decoration, especially decorated in white and neutral tones. High: 43 cm. Base: 13 cm. 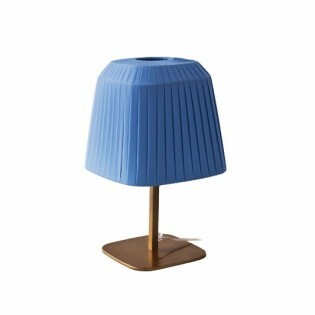 Martina is Decorluc's most classic collection of lamps. This is a classic table lamp that combines perfectly with almost any decoration in more traditional or classic living rooms and bedrooms. Base: 12 cm. Height: 42 cm. The table lamp Oval is a very special lamp. Its design stands out with subtle and feminine shapes. Made of solid iron. Structure and lampshade in white. Spectacular for any modern office or living room. High: 65 cm. Width: 19 cm. 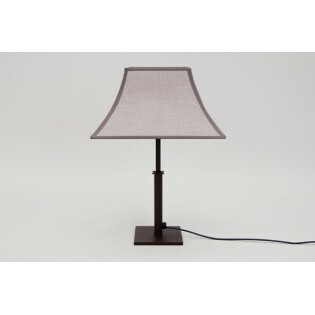 The Ribbon lamp is a very elegant and fine table lamp with an exclusive design in Italian fabric. Available in four different colours. 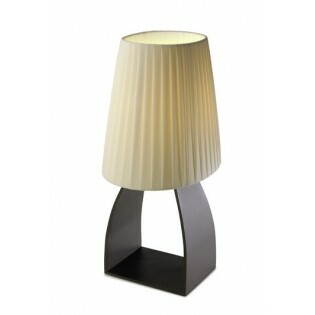 A perfect lamp to decorate and illuminate modern living rooms, bedrooms and hotels or contract projects. Base diameter: 22 cm. Lamp height: 40 cm. 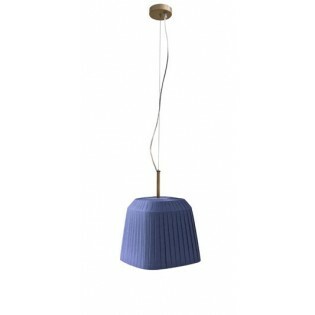 Valeria is the star collection of Decorluc en designer lamps. The Valeria table lamp is ideal for modern style living rooms or dining rooms that want a piece of design that stands out in the room. Height: 42 cm. Base diameter: 18 cm. Alegre is the collection in Decorluc's renewed classic forge . 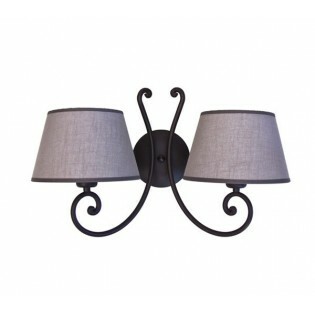 This wall lamp has two lights, is made in grey structure and screens of classic style. High: 30 cm. Length: 48 cm. The wall application Anna belongs to the collection of classic wrought iron lamps by Decorluc. Specially designed to illuminate and decorate rustic environments. Ideal for country or mountain cottages. High: 30 cm. Length: 37 cm. 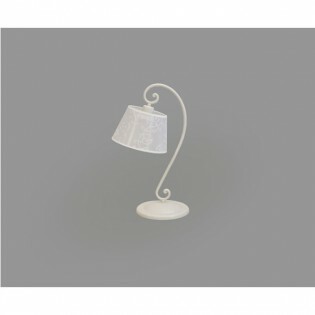 The Ribbon wall lamp , is a beautiful classic style wall lamp. 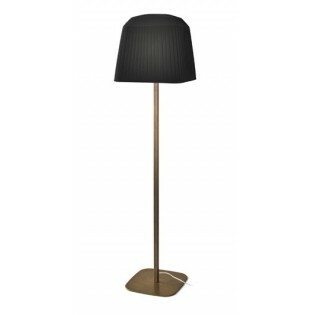 The structure is finished in bronze and the lampshade has an exclusive Italian fabric design. Available in various colours (white, blue, red and brown). 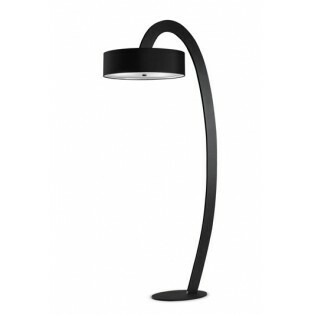 Perfect for lighting in hotels or charming houses as well as contract type projects. Height: 31 cm. Width: 28 cm. 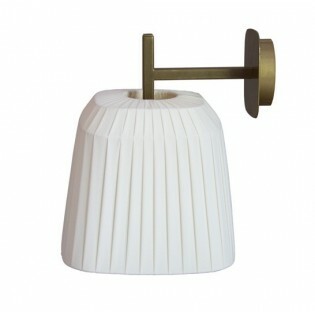 The Ribbon Up wall light is a nice classic style wall light. 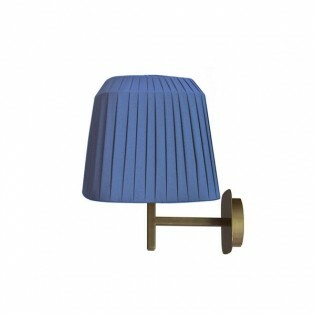 The structure is finished in bronze and the lampshade has an exclusive Italian fabric design. Available in various colours (red, white, blue and brown). Height: 33 cm. Width: 29 cm. lampshade width: 24 cm. 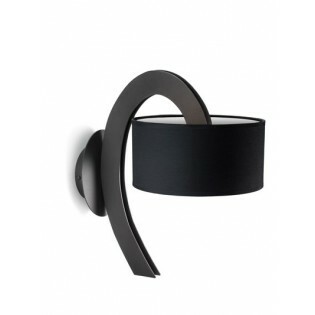 A wall light with a contemporary design with curved glass "made in Italy". Available in two different finishes: - Moka structure with amber marble. - Grey structure with white marble. Dimensions: Base: 22.5 x 22.5 cm. Height: 22 cm.